Each month we feature a peer specialist to recognize and celebrate their amazing efforts. 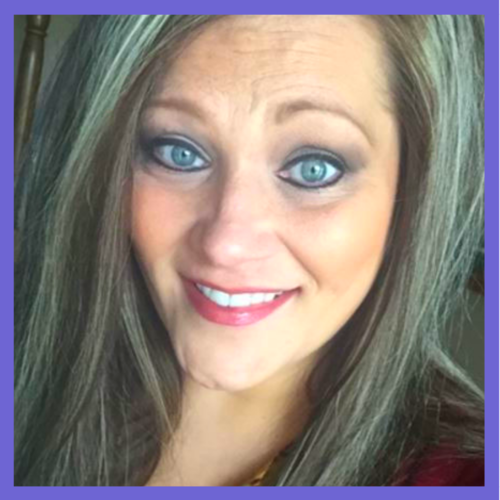 We are excited to introduce you to Nikki, a peer specialist from Wellcome Manor in Garden City, Minnesota. Q: How long have you been a peer specialist? A: I have been a Certified Peer Recovery Specialist for 1 year and work at Wellcome Manor Family Services in Garden City, MN. Q: What inspired you to become a peer specialist? A: My biggest inspiration in becoming a Peer Recovery Specialist has been my passion for helping people navigate through their darkest period and assisting them in putting their pieces of life back together again. I once was assisted by someone when I hit a really low period in my life; I do not remember what she looks like, but I do remember her first name and how she made me feel and the astronomical amount of support she gave me. It was that moment that I knew I needed to pay it forward and be that support system for someone else some day. Q: What is the most rewarding part about being a peer specialist? A: The most rewarding part about being a peer specialist is watching the growth in clients from the beginning to the end of time that I work with them. Many are timid in the beginning and it is amazing to see them discover their voice again and regain their self-confidence. Q: Do you have a piece of advice for new peer specialists? A: The biggest piece of advice I can offer is to always be genuine. Listening is the foundation of all that we do; the support, resources and advocacy comes naturally when we are present with the client in that moment. Q: Can you share a little about your experience using Recovree? A: The concept of Recovree came full circle for me when a graduating client asked to be connected to Recovree for another accountability piece on their end. A few weeks after graduation I was able to obtain the report on this client and saw that all the positive progress she had in the beginning was slowly deteriorating. I was able to reach out to this client and intervene before she relapsed. We were able to discuss her struggles and put a plan in motion for her to turn the situation around. Sometimes it literally is the client talking things out, being pointed in the right direction again and then to reiterate all of the hard work and progress they have made. I guide them back to the direction that treatment already got them to. A: I enjoy spending time with family, friends and my treadmill as well as photography, crafts, music and watching sports. THANK YOU NIKKI FOR ALL YOU DO!